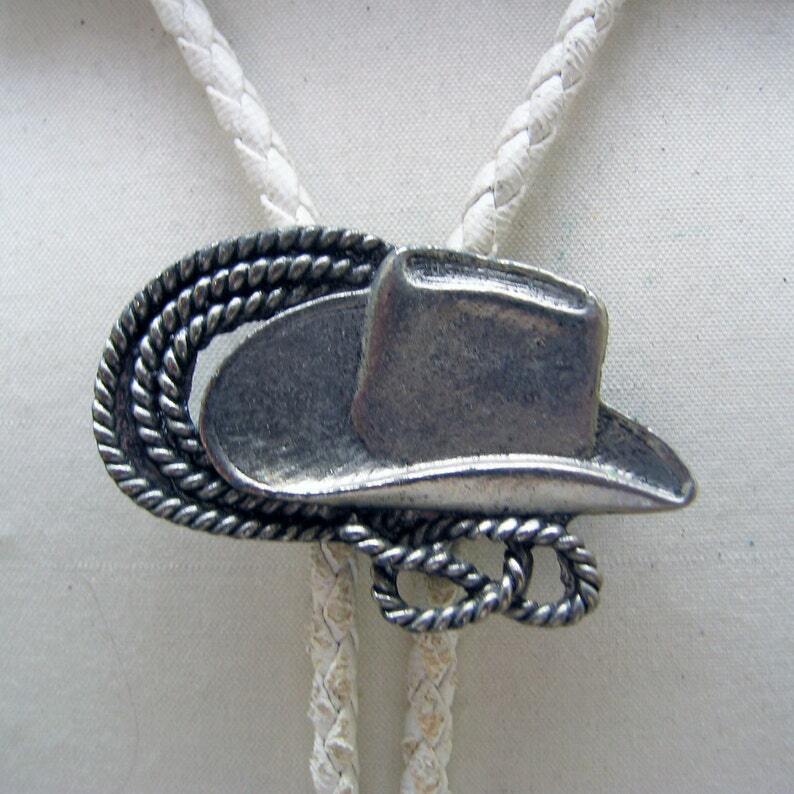 This neat vintage bolo tie features pewter metal with a realistic cowboy hat and lariat rope. 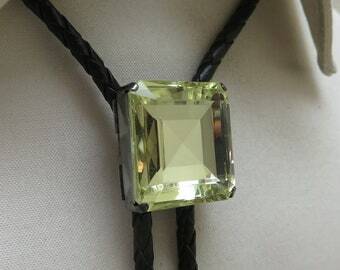 The bolo slide measures 1 1/8th inches tall by 2 1/4 inches wide. It is placed on a 38 inch long white braided pleather string tie with silvertone metal end caps. We will send this to you in a lovely gift box for easy gift giving or storage. 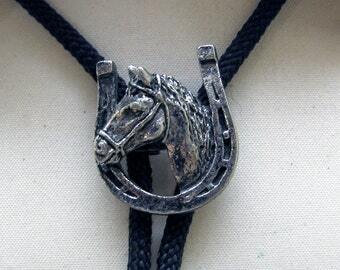 If you like vintage bolo ties, old Mexican and Native American silver, vintage costume and real jewelry, check out my Etsy store at www.etsy.com/shop/PANDPF.